YAY! I loved this linky party last year! Also I just today posted for the first time since November 2, and here I go again. How exciting! 12. Favorite movie you watched. Hands down, no question, didn't even have to think about it - Bridesmaids!!!!! I was just recently introduced to New Girl, and I looooooooove it! I am a biiiiig sushi fan, and this year I discovered a delicious sushi place! I haven't been to the steakhouse part of it, but the sushi part is amazing! I recently went there on a date during which I ate tons of crazy sushi (I usually stick with my California rolls... haha). So yum. Well, I recently ended my relationship with my boyfriend of almost four years.... so I think I am going to say being single. I have been spending lots of time with friends and going out a lot and having fun! It has made my life a lot easier, really. 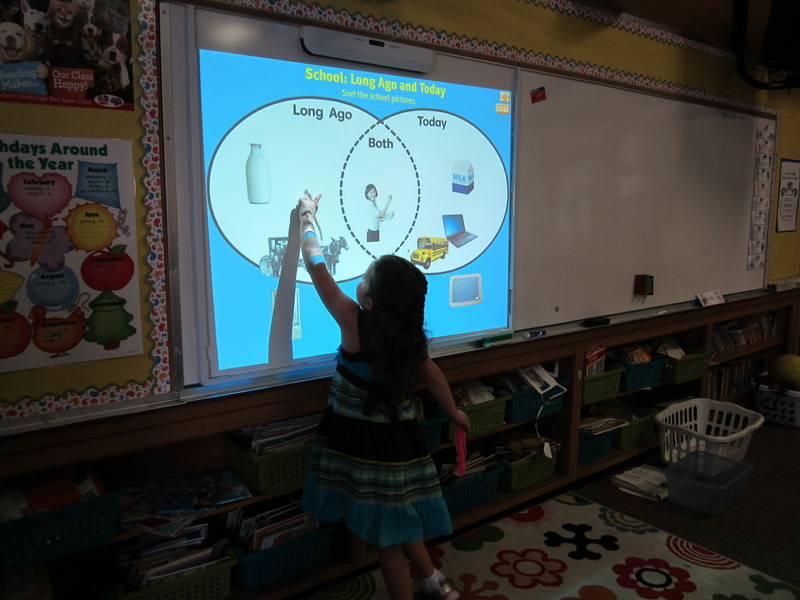 I don't always use it interactively - I use it a LOT for building background knowledge. For example, we recently had some free time (shockingly) and I grabbed a book out of a basket randomly to read to them. 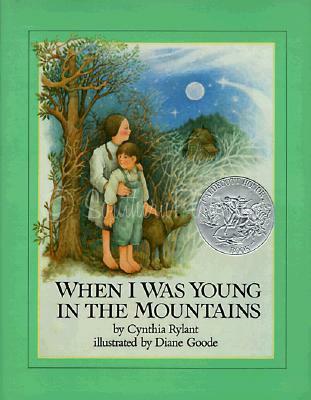 It ended up being When I Was Young in the Mountains by Cynthia Rylant. Towards the end of the book, the author mentions hearing a bobwhite calling in the trees. None of us (me included) even knew what a bobwhite was, so I quick googled a video of one and we got to really understand the story better! I love you, technology. Over the summer, I saw Kristen's post on her chair book pockets and pinned it immediately! I actually got these donated to my classroom - all I had to do was write a letter to Home Depot explaining how I'd use them. My kids LOVE them and the parents love them even more! During election season, everyone was talking about the candidates, including my students - which I documented in Wait, Who is Running for President Again? This post had no educational value, but it made my day times 100. And I'm laughing now reading it again. On Wednesday, I finished my ESL endorsement!!!!!! That is, unless I bombed the final project... haha. That is super exciting for me because I feel like I am a better teacher now, and it opens up job opportunities for me in the future! As much as I love my students, and it would kill me to leave them... I have to think about myself a little bit. 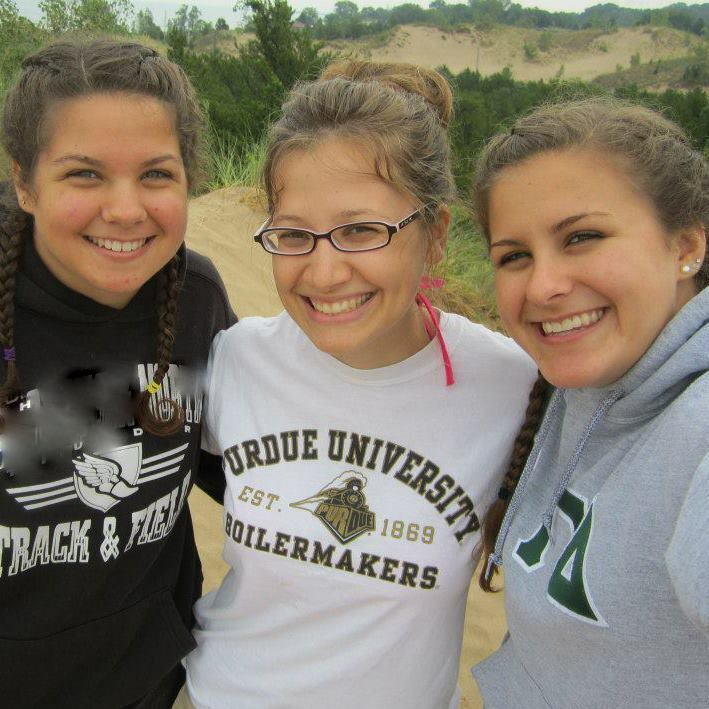 This is a picture of me and my cousins at the Indiana Dunes this summer! They are my besties. :) I love this picture because we all look super happy and it was a REALLY fun day! This picture also makes me laugh because you can see that I am wearing my swimsuit.... but it was WAY too cold to actually swim or wear it without the rest of my clothes on top!! I hope we can return there when it's warm! School goal - Keep working on making my teaching more exciting! Personal goal - Spend less time in my apartment and more time out in the world! I feel like I am doing a lot better job of teaching than last year. My students are really getting it this year, and I feel good about that. When I have dynamite lessons though, they all have one thing in common - I strayed from whatever the manual told me to do and did my thing! I need to do that more often. Everyone has more fun and learns more! I think this will help with my classroom management issues as well.......... enough said about that. As I previously said, I have been spending a lot more time with my friends, going out and having fun! I want to keep that up for sure. I spent a lot of college with my boyfriend at the time, and I don't feel like I had a legit college experience. I want to live it up while I am young! I'm going to choose "flow." I want to go with the flow. I want to live in the moment and appreciate everything that is coming to me. I want to sail through this part of my life and not stress. In school, I want to roll with the punches - whether that means that an angry parent is screaming at me during a classroom party (not that that happened this year or anything.....................) or one of my first graders doesn't know any of her numbers. I want to go with it, do my thing, and make it work. I'm sorry to hear about you and your boyfriend. But it sounds like you're doing amazing! I want an interactive whiteboard. We just had a staff meeting with a guy giving us a sales pitch about them and demonstrating one live in front of us. When he left, our principal said we have no $. I LOVED Bridesmaids and esp. Rebel Wilson (she was the main reason I put Pitch Perfect for my movie) She is awesome! You are sosososo smart to ask HD for donations- we had a 2nd gr teacher at our school do that for a project and they are so accommodating- such a great company :) Have a great week ahead! You've had a busy hear! Huge NEW GIRL fan here too... I want Nick and Jess to get together SOOOOO badly!